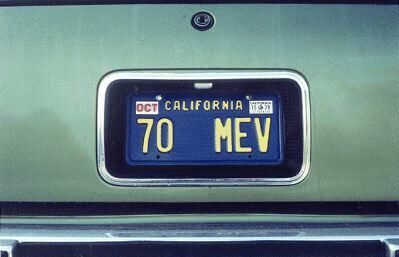 Malcolm Mac Gregor’s 70 MeV license plate as photographed on his car in 1979. This license plate was a well-known feature of the Lawrence Livermore National Laboratory parking lot for more than a decade. The same license plate in 1990, eleven years later.